If children were little scientists who learn best through firsthand observations and mini-experiments, as conventional wisdom holds, how would a child discover that the Earth is round—never mind conceive of heaven as a place someone might go after death? Overturning both cognitive and commonplace theories about how children learn, Trusting What You’re Told begins by reminding us of a basic truth: Most of what we know we learned from others. Children recognize early on that other people are an excellent source of information. And so they ask questions. But youngsters are also remarkably discriminating as they weigh the responses they elicit. And how much they trust what they are told has a lot to do with their assessment of its source. Trusting What You’re Told opens a window into the moral reasoning of elementary school vegetarians, the preschooler’s ability to distinguish historical narrative from fiction, and the 6-year-old’s nuanced stance toward magic: skeptical, while still open to miracles. Paul Harris shares striking cross-cultural findings, too, such as that children in religious communities in rural Central America resemble Bostonian children in being more confident about the existence of germs and oxygen than they are about souls and God. We are biologically designed to learn from one another, Paul demonstrates, and this greediness for explanation marks a key difference between human beings and our primate cousins. Even Kanzi, a genius among bonobos, never uses his keyboard to ask for information: he only asks for treats. This book demonstrates how children's imagination makes a continuing contribution to their cognitive and emotional development. In order to understand how adults deal with children's questions about death, we must examine how children understand death, as well as the broader society's conceptions of death, the tensions between biological and supernatural views of death, and theories on how children should be taught about death. This collection of essays comprehensively examines children's ideas about death, both biological and religious. Written by specialists from developmental psychology, pediatrics, philosophy, anthropology, and legal studies, it offers a truly interdisciplinary approach to the topic. 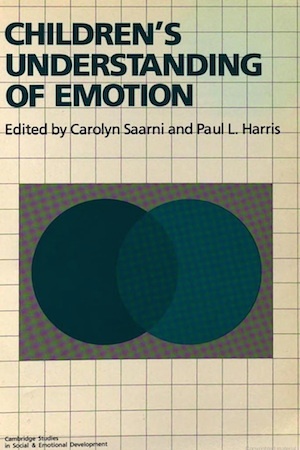 The volume examines different conceptions of death and their impact on children's cognitive and emotional development and will be useful for courses in developmental psychology, clinical psychology, and certain education courses, as well as philosophy classes—especially in ethics and epistemology. This collection will be of particular interest to researchers and practitioners in psychology, medical workers, and educators—both parents and teachers. The study of early cognitive development has emphasized the way in which young children act like scientists, testing and revising theories about the physical, biological, and psychological world. Evidence of this early understanding of the natural order has led researchers to reconsider children's thinking about magical, religious, or otherwise supernatural orders. The present volume offers reviews of new lines of research on children's thinking that stretch beyond the ordinary boundaries of reality. More than being "little scientists," children are here considered as "little magicians," "little metaphysicians," "little theologians," and "little story tellers" or "dramatists," imagining other-worldly possibilities. Drawing together the most recent thinking and empirical research on how children come to understand the causal links that connect particular situations, this work examines different aspects of how children from the preschool years to early adolescence make sense of emotional experience. This unique collection of empirical reports and conceptual analyses by leading researchers examines the fundamental change that occurs in children's understanding of mental life - both their own and that of other people - between the ages of 2 and 6. 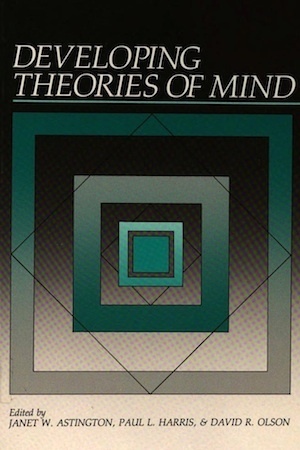 This volume helped to launch the vibrant program of research on children's theory of mind.